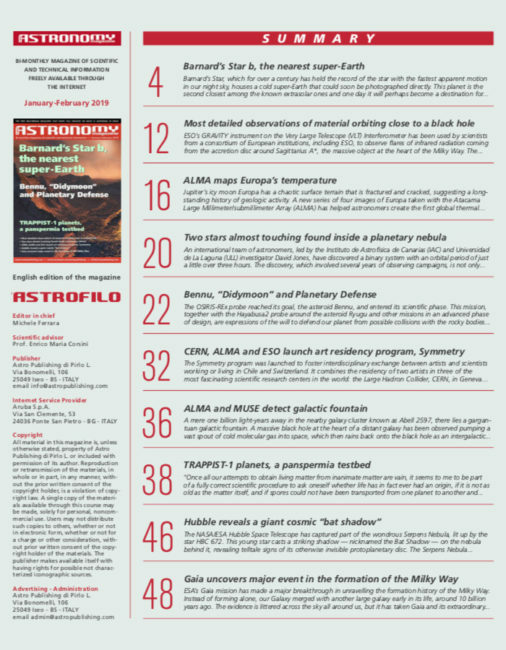 The March-April 2019 issue of Free Astronomy Magazine is available for your reading and downloading pleasure. 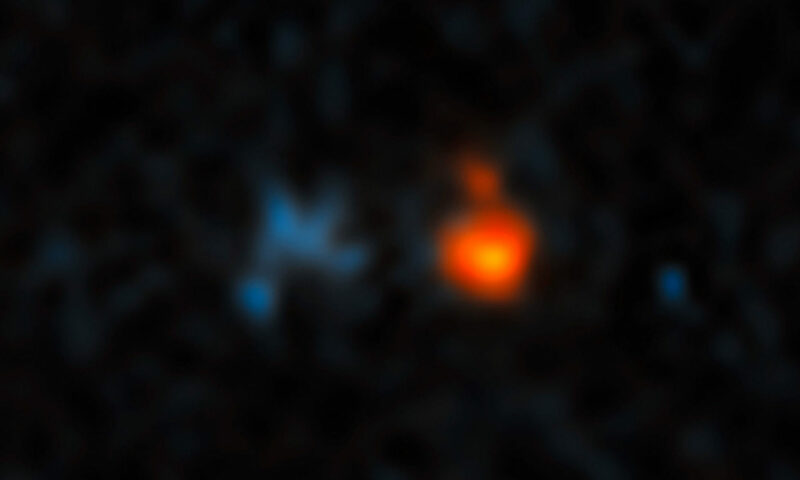 To the several NASA and ESA highlights included in this bi-month’s issue (including a wonderful collection of Spirit and Opportunity images in celebration of Opportunity’s recent end-of-mission status announcement), Michele Ferrara has managed to both (a) make you hopeful about our future as a science-spreading civilization in the galaxy and (b) remind you how far we have to go here on Earth to improve our appreciation of that same galaxy. Hopefully, the Genesis Project (no, not really that one (but sort-of). 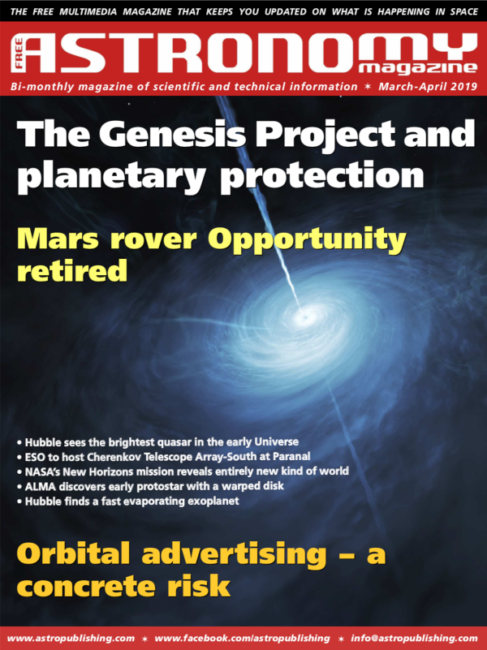 This other one – besides this issue, see phys.org and universetoday.com) and Orbital Advertising (not going to dignify it with additional links) articles give you deep – and different – pause. 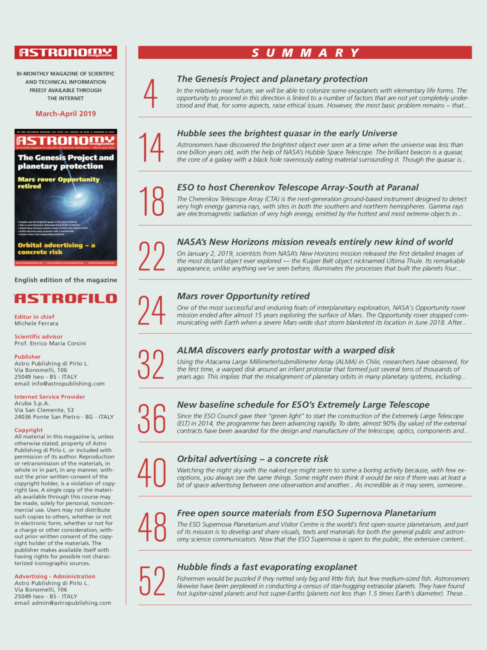 With Operation: How-The-Hell-Do-I-Do-It-In-Gutenberg well underway, a quick post to mention the re-publication of a New Moon Telescopes review in Astronomy Technology Today (Vol 12. Issue 5) that first appeared in ATT’s May-June 2013 issue (a post about that publication resides on this site HERE). So nice they printed it twice. While the “classic” NMT scope has gone into discontinuation on the website in favor of the “hybrid” designs (the reprinting of the review of the “classic” model is perhaps not the best of timing), let there be no doubt that the long-short of the article and its reprint stands. In the last seven year, I’ve bought extra pairs of binoculars. I’ve picked up sky charts. I thought about adding to my Televue collection (then won a Delos at Cherry Springs Star Party 2014 a few years back, scratching that itch). I even went so far as to pick up an iOptron SkyTracker to merely dabble in astrophotography. In all that time, “Ruby” (NMT #1) has performed so well that I’ve never felt the need to even consider buying another telescope. In a hobby that caters to gear-hounds like no other, that’s about as strong an endorsement as I can make. 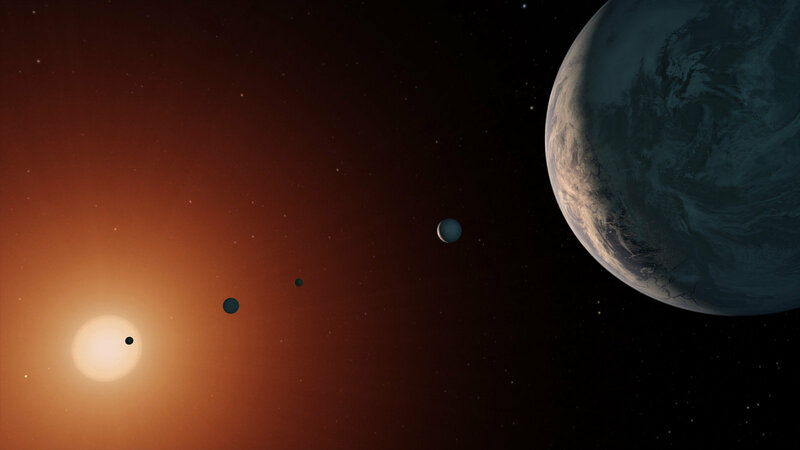 Simply, Ryan Goodson continues to make the finest Dobsonian scopes on the market today. Period. 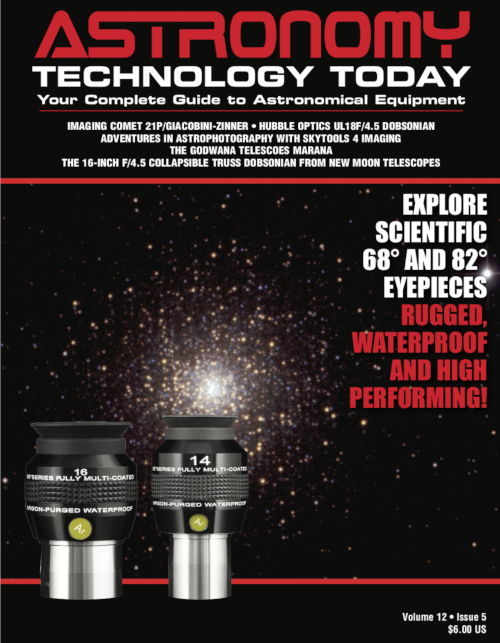 And make sure you subscribe/renew your subscription to support Astronomy Technology Today (as I did before the reprint! 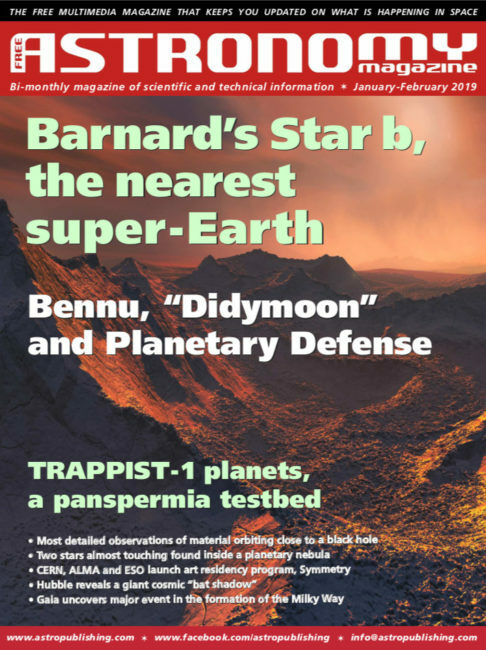 ), which remains one of the best sources for in-depth equipment reviews and excellent commentary from real, honest-to-goodness amateur astronomy contributors.